While I was away a couple weeks ago there was a minor scheduling snafu so I’m republishing this guest post for your viewing pleasure. Enjoy Fashables’ round-up as summer comes to a close. It won’t be long before we’re bundling up for fall. Hey, I’m Ryan from the fashion blog Fashables, and I couldn’t be happier to do a guest post on The House in the Clouds! 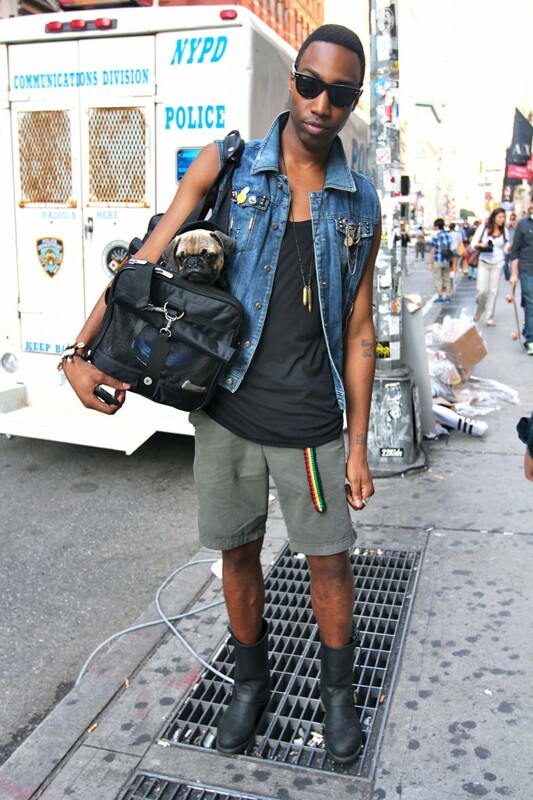 One of the features on Fashables that runs twice a week is a fun little street style post called Peeps from the Streets. The shots are taken at various places in New York City and, for the most part, simply catch people going about their lives in NYC. Most aren’t posed… and heck, aren’t even planned for that matter. Since summer is winding down I thought it might be fun to share some of the Peeps from the Streets shots taken during the last couple of months with you. NYC is full of great style, and I could have easily shared a ton of photos with you… but here are 10 that seemed to stand out in my mind. 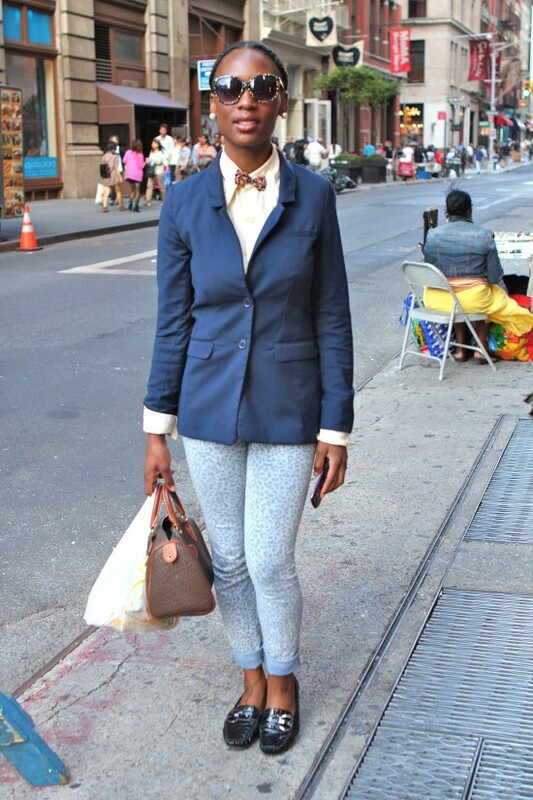 From the purse, to the pants, to the bow-tie to the sunglasses… she’s pulled the pattern together. Tons of flavor going on here. Bikes and dogs… accessory of the year! Reminded me of Madonna back in the day. I have a thing for stylish people riding old school bikes. 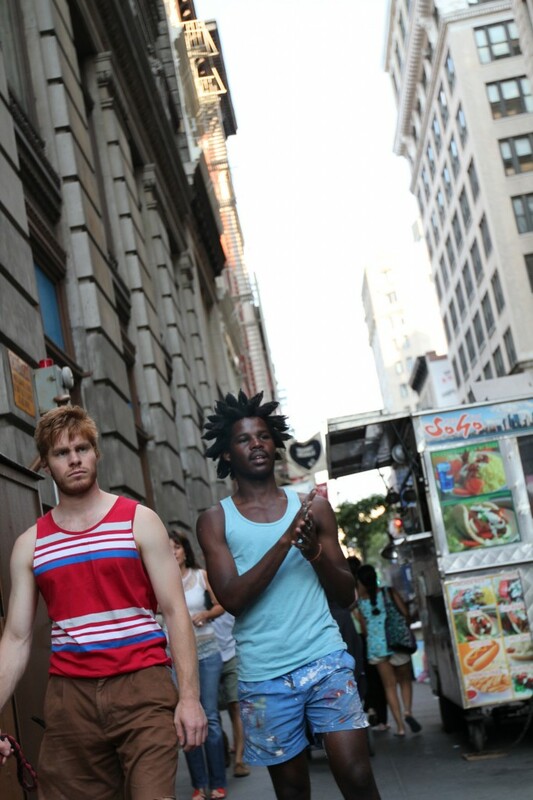 Two French friends visiting NYC… and doing so stylishly. Lovely dress, and purse, but I couldn’t make her smile for the life of me. This was my first experience at photographing a professional model. The thing is, at the time, I had no clue I was doing so. Read more about that here. We start them early in NYC. 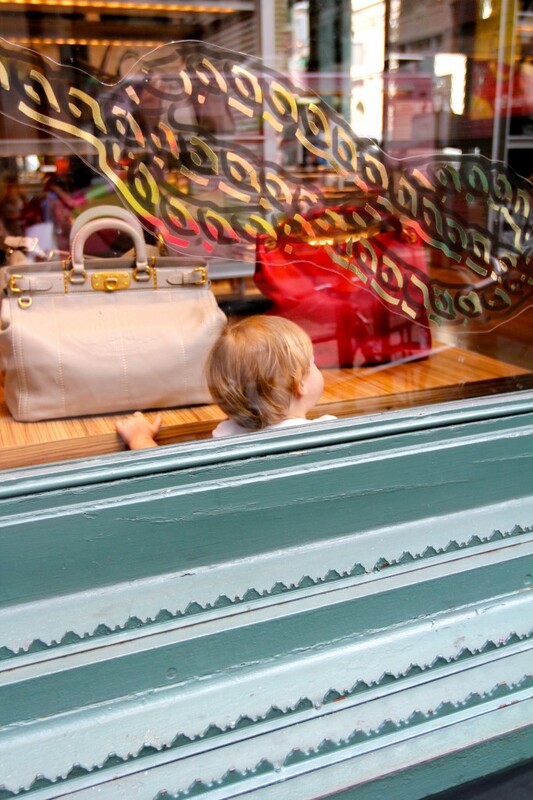 A toddler picking out a purse in… Prada. When taking this shot I had no clue this girl was from the reality TV show on TLC called NY Ink. I simply stopped her because she had tons of flavor. Thanks a ton for reading my guest post and I hope you enjoyed the shots! I know The House in the Clouds is one of your favorite sites to visit, but I hope you might someday add Fashables to that list as well.